Expired 9mo ago . Last validated 9mo ago . Used 8 times. 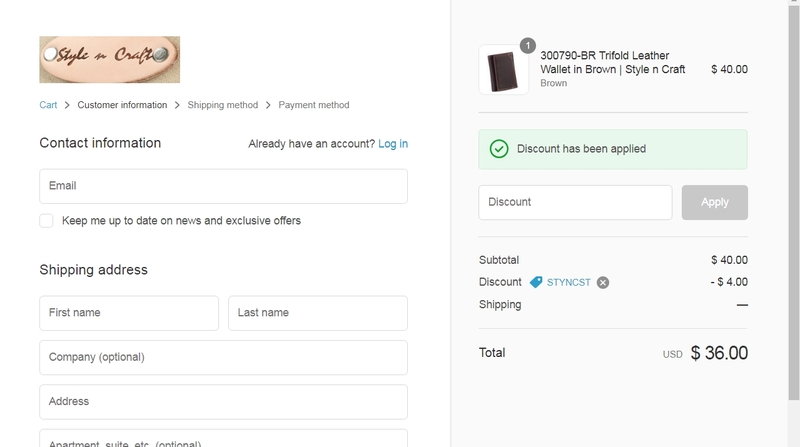 Carolina Jack Promo code works correctly, add your purchase to the cart and in the payment process you can easily use the code. Luis Diaz I am Validating That This Deal Works as Described. 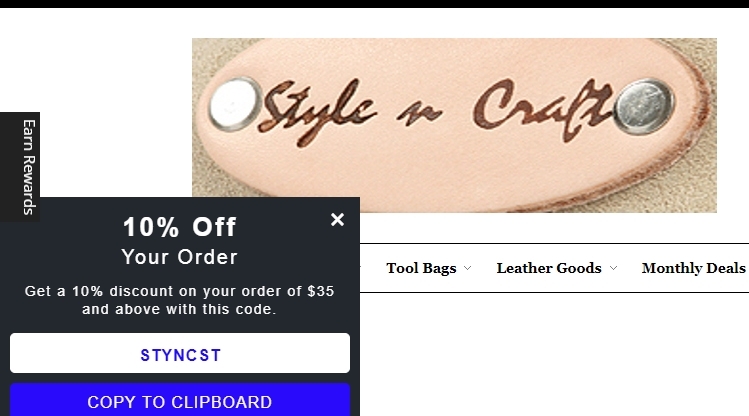 Enter code and Save 10% Off on Orders Over $35 at Style N Craft (Site-wide). 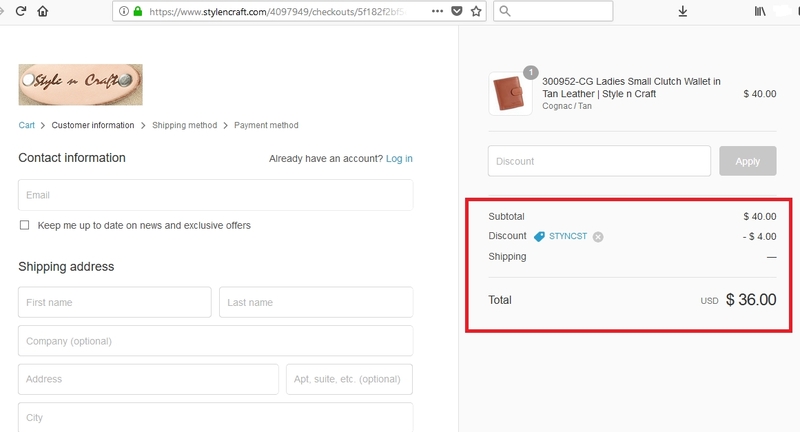 Andrew Tested this promo code for Style N Craft and verified that it works as described. Just enter the code at check out to get 10% Off. @dealseveryday As of 02/24/18, I tested this promo code and verified that it works as described. Helica I am validating that this deal works as described. 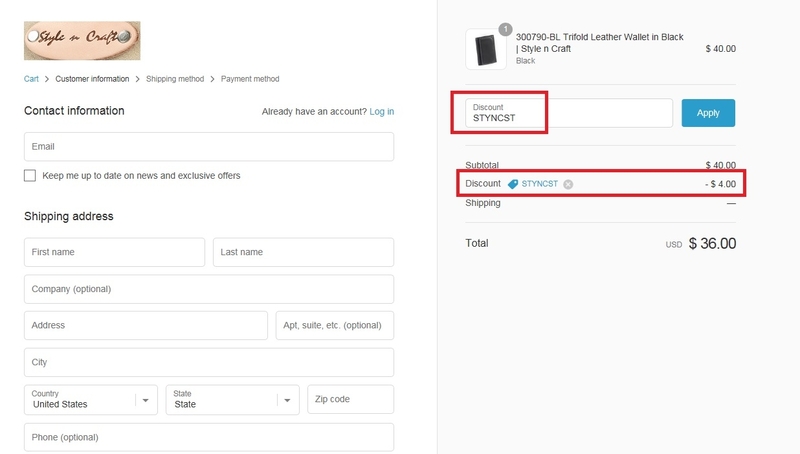 You simply have to enter this code in the box to apply the discount and click apply to enjoy the promotion. Mary Ángela Gutiérrez Simply enter the code during the checkout process to apply this discount. There may be some exclusions that apply to this deal.